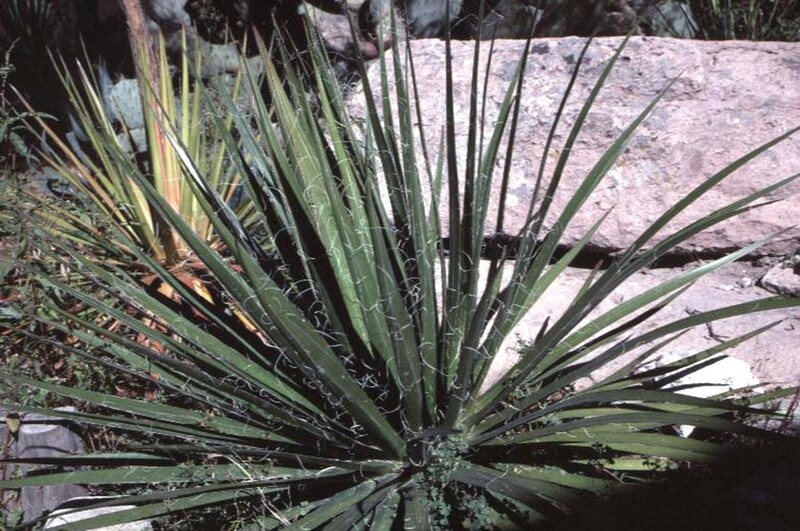 Comments: This yucca produces a low rosette of relatively soft foliage with curly marginal white threads. Tall spikes of white flowers occur on mature plants. Be sure to provide a very well drained soil and full sunlight for yuccas. This yucca is often used as accent plants in planters and other raised beds.